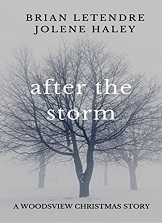 Over the past couple of days, I’ve gotten a handful of royalty payments from Amazon for a story I wrote as part of their Kindle Worlds platform. 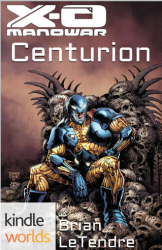 The story, called Centurion, is set in the world of Valiant’s X-O Manowar comics series, which involves a Visigoth warrior who steals a suit of alien armor and uses it to try and re-establish his kingdom in the modern world. My story sits between issues #14 and 15 of the comic series, and I tried to keep it in line with the continuity that had been established already. 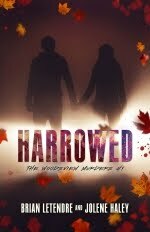 The reviews of my story were generally positive (it's currently sitting at a 4.3 out of 5), and I’m pretty proud of it. Getting the royalties from Amazon the past couple days was a nice reminder that some folks did grab the story and those that took the time to review it had nice things to say. To be clear, the royalties were very small, and I won’t be quitting my day job anytime soon. But the royalty notifications were a pleasant surprise nonetheless. 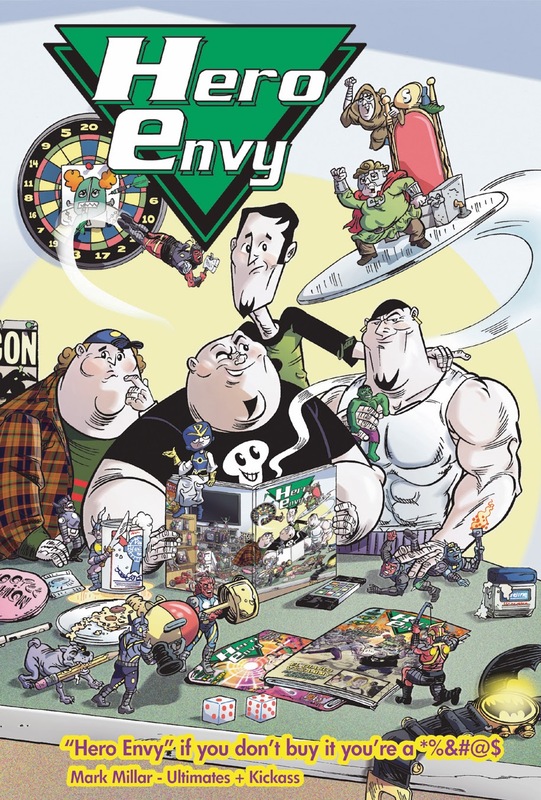 In the sixteenth episode of See Brian Write, writer Keith Gleason joins me to talk about the Hero Envy web series and comics. I also gush about how great True Detective is. I think it’s safe to say that True Detective has replaced Breaking Bad as the show that everyone is talking about on the internet these days. Not only is it a superbly written, shot, acted and directed show, but it has drawn attention to one of the greatest horror works of all time--Robert W. Chambers’ The King in Yellow. 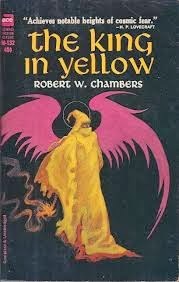 From what I’ve been reading on Twitter, it seems like a lot of people are surprised to learn that the King in Yellow and Carcosa are not creations of the show, but references to a book written over a century ago. I couldn’t be happier about that, as it’s drawing attention to a writer who often gets overlooked as a primary influence of H.P. Lovecraft. It was because of his influence on Lovecraft that I first discovered Chambers and The King in Yellow years ago. 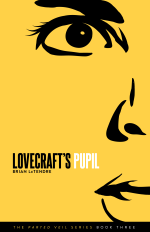 I was so blown away by Lovecraft’s cosmic weirdness that I just had to read the work of someone that he had actually been inspired by. 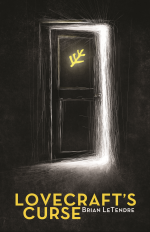 The beauty of the The King in Yellow is that it is a collection of stories that make references to the titular play, but offers readers only glimpses into it. 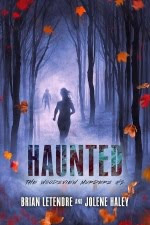 Like Lovecraft did in many of his stories, Chambers builds the horror in you as a reader by showing you what happens to those who are mad enough to lay eyes on the play itself. Because he leaves so much up to the reader, The King in Yellow is a book that you can revisit time and again, and come away with something new. 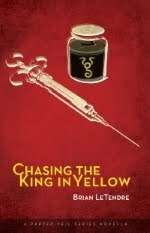 I was so enamored with The King in Yellow that I built my first horror novel around some of its concepts. My goal was to pay tribute to the original story and hopefully get people interested in going back to read it if they’d never done so before. So as a horror fan and a huge fan of The King in Yellow, I am ecstatic that True Detective is so effectively weaving Chambers’ work into its murder mystery. I hope everyone goes out and downloads a copy of the book, which has been in the public domain for years (you can get a copy on Amazon here). 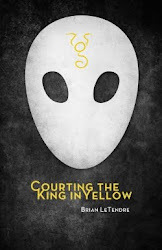 And if this newfound interest leads some readers to check out Courting the King in Yellow too, well that’s just fine with me. If you're a frequent visitor to the site, you may have noticed the new navigation bar just under the main banner. I've added some additional pages to the site for my different projects, and a place where people can get in touch with me if they have a project they'd like to hire me for. Rather than break down each of the pages here, I'd encourage you to take a look around and check them out. I'd appreciate any feedback you have! 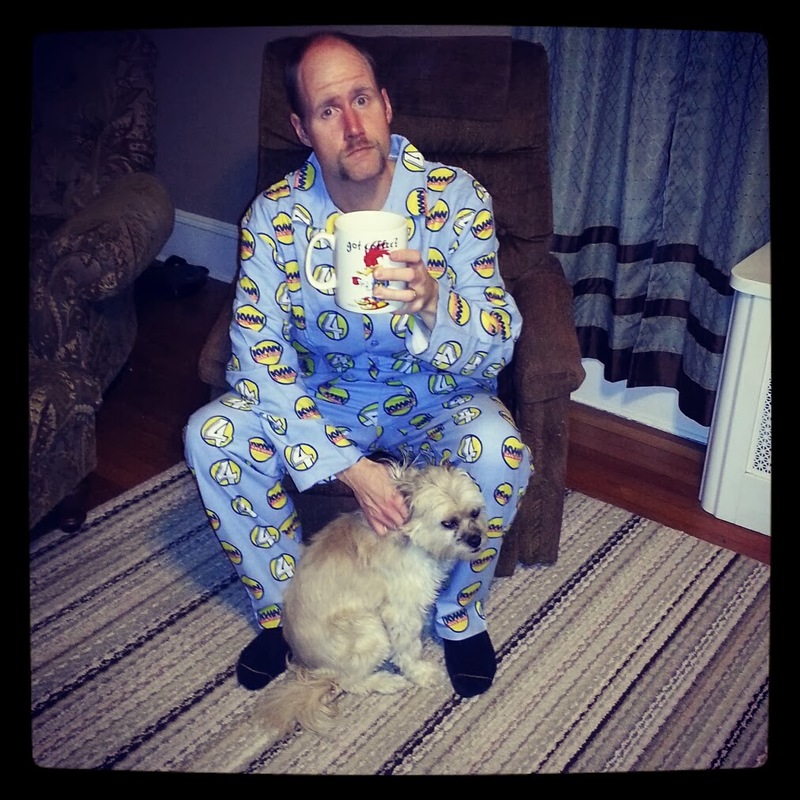 In the fifteenth episode of See Brian Write, writer Jesse Young joins me to talk about making comics. 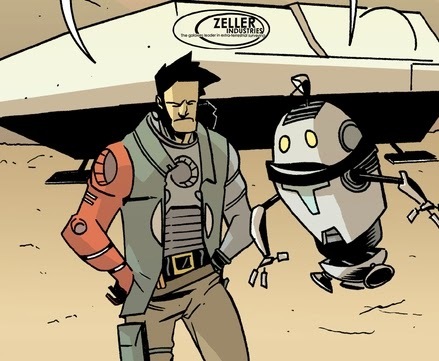 I also talk about the amazing digital comics collective Thrillbent.com. As I was watching the halftime show of the Super Bowl, I couldn’t help but think about how much Bruno Mars reminded me of Kool & The Gang. I tweeted about it, and then ended up tweeting out a few of my favorite Kool & The Gang videos. Every time I fall down the YouTube rabbit hole of old music videos, I’m reminded of how big a role music has played in my life, and how music videos used to take up most of my television watching time. I really feel bad for those who did not grow up in that era, as it was an amazing time to be a music fan. My own love of music, specifically ‘80s music, really started back in my rollerskating days. We had a great roller rink in my hometown of Enfield, CT called Enfield Roller World, and just about every Friday night of my formative years was spent roller skating with my friends. We were exposed to dance, rock, pop and hip hop, and I loved all of it. When I wasn’t roller skating, I was listening to music on the radio. As early as I can remember, it provided the soundtrack of my life. My love of music videos began with Friday Night Videos, a program that aired late nights on NBC starting back in 1983. My family didn't have cable at the time, so Friday Night Videos was my entry into the world of music videos. My friends and I would tape the episodes and watch them over and over again, and some of the roots of my love for all ‘80s music can be traced back to Friday Night Videos. Of course, when I got cable and MTV, the arrival of Headbanger’s Ball in 1987 changed my music-loving life forever. I was already a metalhead, but that show put me and my best friend over the edge. Not only did we stay up watching the episodes that aired on midnight Saturday nights, we taped every single one and watched them until the VHS tapes wore out. A year later, the Doctor Dre and Ed Lover-hosted Yo! MTV Raps brought me back in touch with my love of hip hop, which had faded since my days breakdancing with my friends in my old neighborhood (the lessons for which I took at Enfield Roller World, by the way). Much like Headbanger’s Ball did, Yo! MTV Raps exposed me to tons of artists I didn’t even know existed. Nowadays, shows like That Metal Show and channels like VH1 Classic still keep the spirit of those old shows alive, but we will never again see the culture of music videos that we had back in the ‘80s and early ‘90s. So, I’m going to do my little part to keep the spirit of those days alive as well, starting next week with Sunday Night Videos. Every Sunday Night from 8PM EST to 9PM EST, I’ll be tweeting out links to classic videos from some of my ‘80s and ‘90s favorites. One artist per week, and five videos per episode. I’ll also be tweeting out facts about the artists and some of my experiences with the ones I’ve seen in convert, and even met (and there are a few). I’ll be using the hashtag #SundayNightVideos, and I’ve even bought the domain so I can set up a blog with links to each episode's videos. As a lifelong music fan who grew up as part of the music video generation, I’m really excited to begin revisiting some of the best videos from that era. If you’ve got a band or artist you want to see on Sunday Night Videos, let me know and I’ll start a request list. You can hit me up on twitter.com/seebrianwrite, or email me at brian@seebrianwrite.com. See you next Sunday Night!